Plants, animals and humans, are colonized by microorganisms (microbiota) and transiently exposed to countless others. The microbiota affects the development and function of essentially all organ systems, and contributes to adaptation and evolution, while protecting against pathogenic microorganisms and toxins. Genetics and lifestyle factors, including diet, antibiotics and other drugs, and exposure to the natural environment, affect the composition of the microbiota, which influences host health through modulation of interrelated physiological systems. These include immune system development and regulation, metabolic and endocrine pathways, brain function and epigenetic modification of the genome. Importantly, parental microbiotas have transgenerational impacts on the health of progeny. Humans, animals and plants share similar relationships with microbes. Research paradigms from humans and other mammals, amphibians, insects, planktonic crustaceans and plants demonstrate the influence of environmental microbial ecosystems on the microbiota and health of organisms, and indicate links between environmental and internal microbial diversity and good health. 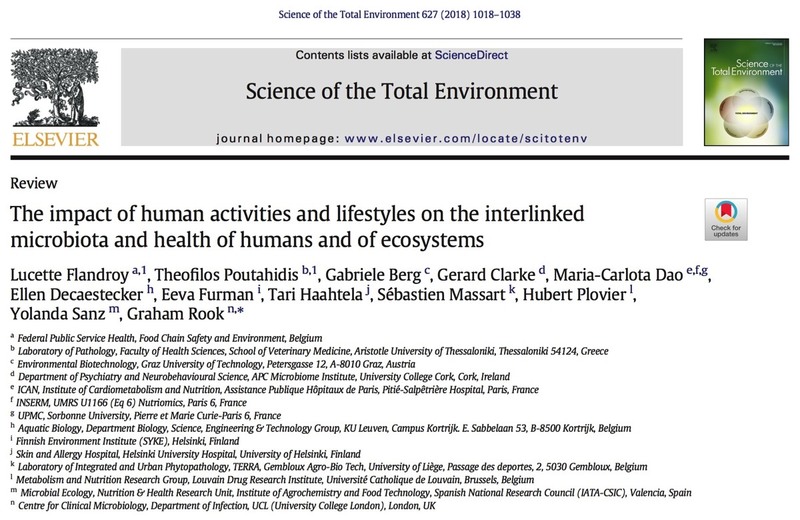 Therefore, overlapping compositions, and interconnected roles of microbes in human, animal and plant health should be considered within the broader context of terrestrial and aquatic microbial ecosystems that are challenged by the human lifestyle and by agricultural and industrial activities. Here, we propose research priorities and organizational, educational and administrative measures that will help to identify safe microbe-associated health-promoting modalities and practices. 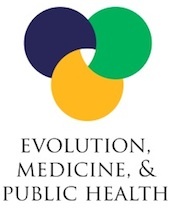 In the spirit of an expanding version of “One health” that includes environmental health and its relation to human cultures and habits (EcoHealth), we urge that the lifestyle-microbiota-human health nexus be taken into account in societal decision making. Diminishing global biodiversity is a major concern. Loss of diversity at the microbial level is of immediate importance to human health. Symbiotic microbiota and environmental microorganisms and their genes play crucial roles in human physiology that we are only just beginning to explore. This website concentrates on the “education” of the immune system, but we know that microorganisms also play significant roles in the development of most organ systems (including the brain), and in metabolism and regulation of energy balance. Moreover a large percentage (20-30% ??) of small molecules in peripheral blood are of microbial origin, and we have barely begun to understand the multiple roles that these molecules play. If we lose microbial biodiversity we will almost certainly encounter new health problems of which we currently have no understanding. The Convention on Biological Diversity together with the United Nations Environment Programme (UNEP) and the World Health Organisation (WHO) has generated the document of which the cover page is seen on the right. 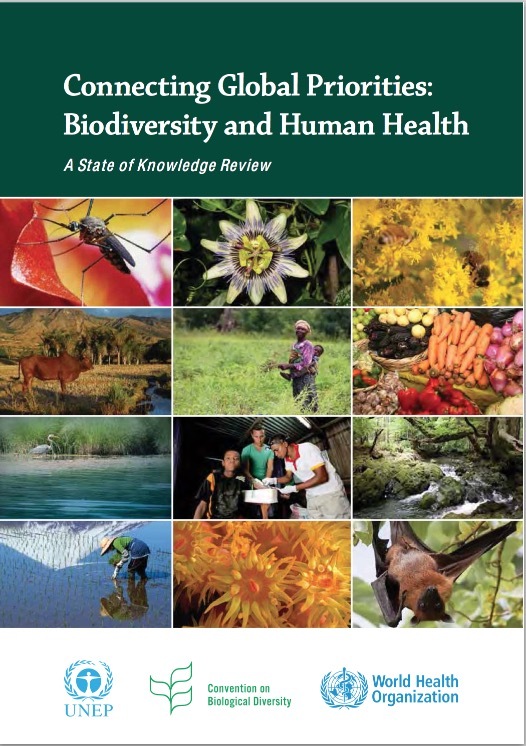 This document is 364 pages, with 16 chapters on all aspects of the importance of biodiversity to human health. Chapter 8, starting on page 150, has the title “Environmental microbial diversity and noncommunicable diseases”. 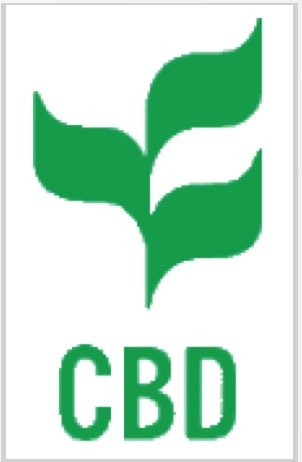 G. Rook and R. Knight were lead authors, and there was also input from the CBD and other organisations. Chapter 8 can be downloaded here, but I would strongly advise readers to download the whole document (about 5MB) from the CBD website. It is freely available to anyone who is interested.